For the HR professional, there are many unmistakable signs that Christmas is coming: Christmas carols are playing in all supermarkets, lights go up in the city centers and dozens of articles pop up about the HR trends for the coming year. To make some sense out of this jumble of competing voices, we have decided to analyze the information published in the most influential outlets and offer you a comprehensive summary. Below you will find the most prominent HR trends for 2019, according to the predictions made in the 11 articles we have analyzed, presented in order of popularity. Next to the each trend, we have noted in brackets the number of individual articles that mention it. Artificial Intelligence & HR (6). 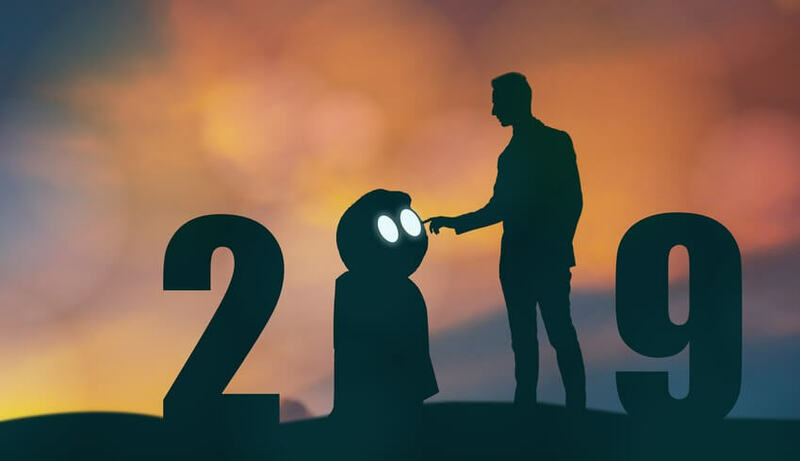 2018 was the year when Artificial Intelligence began to be discussed a lot, but 2019 will be the year when many projects still in the works will be fully implemented. There are many types of practical applications for AI that people are predicting and advocating for: for instance, reducing the time needed for the pre-screening of job candidates, and identifying in real time the employees with a low level of engagement, whom the company risks losing. Employer branding (5). Employer branding has been a hot topic for a couple of years now, and companies are set to take it even further, with a greater commitment of resources and many different types of initiatives. They will be pursuing full-fledged marketing and branding campaigns aimed at influencing the opinions of job candidates and clients, and will make use of technology to enhance the experience of applying for a job, the onboarding process, and communication with employees. The management of atypical work (4). There’s no stopping it: the share of atypical and remote work is set to increase over the coming years. The HR department must therefore equip itself with the tools and processes needed to manage this type of work safely and efficiently. Likewise, it should not forget to offer the right level of flexibility to those who are still working full-time at the office or factory. Virtual Reality (4). So far, virtual reality has not found major applications in the corporate world, but this is set to change in 2019. Implementing training using this technology will bring enormous advantages and savings in some fields—just think, for example, of the benefits offered by flight simulators. Skill mapping and soft skills (3). Developing a mapping of internal skills in the company will be vital for understanding when one can rely on internal skills and when one should turn instead to external talent: for example, to the enormous field of the “gig economy.” In addition, the importance of soft skills (in which the new generations often show some deficiencies) will increase more and more relative to purely technical skills. Workplace wellness (3). The theme of workplace wellness will be at the core of the HR agenda for 2019. There is a growing need to protect employees from the stress tied to the rapid changes in the world of work, as well as the “threat” posed by technology. Likewise, many will be talking about “Total Wellbeing,” a holistic conception of the well-being of an employee that involves the emotional, physical, economic and professional spheres. Preparation for the future of work (3). This HR trend, which sits halfway between training and well-being, will involve the Human Resources offices in preparing employees for a world of work in which humans and technology (for instance, robots) will be working side by side more and more often. In particular, it will be necessary to sharpen employees’ soft skills, such as leadership, communication and problem solving. Gamification (3). Gamification has already assumed a prominent role in recruiting. The trends for 2019 in the HR world are set to make it even more prevalent, including in areas such as employee management and training. Increased accuracy of candidate selection (3). According to several experts, the new technologies applied to recruitment will lead to an increase in the quality of the candidates selected. The recruiting funnel will become more streamlined and efficient, and the recruiter will have more time available for tasks with higher added value. Predictive analytics (3). HR analytics are already being employed successfully by many HR departments. The new upcoming developments will involve the use of the same tools by management, and the introduction of indicators able to predict training needs or flag the possible dissatisfaction of an employee. HR & business (2). In 2019, HR departments will play an even more central role for the company’s business. On the one hand, this will happen thanks to a new generation of HR Directors, who will bring innovation (including new technology) to the company; on the other hand, this will occur thanks to a strong collaboration with management in terms of planning for values, processes and practices that would lead to the greatest level of development for all employees. Natural Language Processing (2). One of the main obstacles to the operations of multinational companies is the language barrier. Thanks to Natural Language Processing technology, employees will have access to surveys and self-service systems that will speak their native language. Mobile digital content (2). In 2019, it will be essential for companies to invest in training if they want to remain competitive. To overcome one of the main resistance factors on the part of individual employees, namely the lack of time, companies will have to place digital content at their disposal, accessible from anywhere, including via mobile devices such as smartphones and tablets. Payroll innovation. While the majority of companies now use modern cloud-based software for the other areas of HR management, when it comes to payroll management, a lot of them are still relying on older on-premise systems. In 2019, many of these companies will invest in technological innovation, so they would be able to offer their employees certain benefits, such as greater transparency and the ability to view one’s pay slip and wages from anywhere, on any device. Employee-centric training. The training courses offered by a company should focus on the individual employees even more than on content, as they have become accustomed (for instance, by services such as Netflix) to receive information that is tailored to their unique profile, in terms of both form and content. Training as a benefit. All the HR trends analyzed so far converge on one crucial point: training will have a particularly high importance in 2019. This is why companies can and should take advantage of the opportunities it provides from the point of view of employer branding and talent acquisition. The presence of a good training program could make the difference in the choice made by a talent who is searching for a new job. Training for job candidates. In order to narrow the overall skills gap among their employees, some companies also offer training to the most interesting candidates at the selection stage. Interaction and IoT. The concept of the Internet of Things, applied in the corporate context, will make the work environment increasingly interactive and interconnected, with continuous feedback, automatic tracking of activities and sensors capable of detecting stress and factors causing friction. While this will strengthen the self-service options available to both employees and managers, on the other hand, these developments raise certain ethical issues regarding personal privacy. The power of knowledge. Among the 2019 HR trends identified by the experts, one in particular calls for the Human Resources office to help employees better understand the role they play within the organization. Knowing the importance of their work will increase their involvement in the company’s activity and will get them to go the extra mile. The risks of an excessive focus on employee experience. Employee experience has already been talked about a lot, and it runs the risk of becoming too much. According to one forecast for 2019, relentless efforts to increase and measure employee engagement may even worsen the experience for a company’s employees. Sources: 2019 HCM Trend Report, Aspirant, Forbes, HumanResources, Matthew Hamilton, Mid-America Careers, Monjin, Recruiting Daily, Staffcircle, Toolbox, Ultimate Software’s Blog.